Family Fun with S’MORES at the Feed Store! We’re treating you to some family fun with S’mores at the Feed Store this Saturday, January 30th from 12 to 3 pm at Argyle Feed & Hardware! 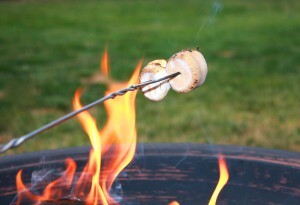 We’ll have our big iron fire pits ready with S’mores-worthy campfires— all you need to do is bring your kids and your sweet tooth. The Argyle Feed team will supply all the ingredients and the marshmallow roasting sticks. We do ask that parents please supervise young children while participating. While you’re here, visit us in the store to check out everything Argyle Feed & Hardware has to offer! Not only are we your Certified Expert Purina Feed Dealer in Denton County, but Argyle Feed is your neighborhood destination for pet food and supplies, hardware, gardening and wild bird supplies plus equine, livestock supplies and a whole lot more. Ask our friendly, knowledgable team about our Price Match Guarantee! We look forward to showing you everything our feed store has to offer— Visit us at Argyle Feed this Saturday afternoon, come meet your neighbors and enjoy some sticky S’mores-making family fun! This entry was posted on Wednesday, January 27th, 2016 at 6:09 am	and is filed under Events, News & Updates. You can follow any responses to this entry through the RSS 2.0 feed. Both comments and pings are currently closed.